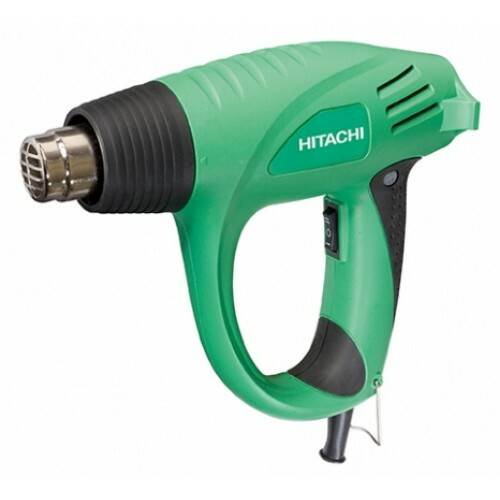 New heat gun RH 600 T of Hitachi is a twin structure construction that use a heating element with a capacity of 2000 W.
Temperature directed out through the working nozzle. The model Hitachi RH600T used a very simple control system has two modes of air flow of 250 l / min at a temperature of 450 ° C or 500 l / min (600 ° C). This model is designed for simple tasks like heating plastics & metals, bending pipes, shrink wrapping, cable sleeving, paint removing, drying and heating applications.